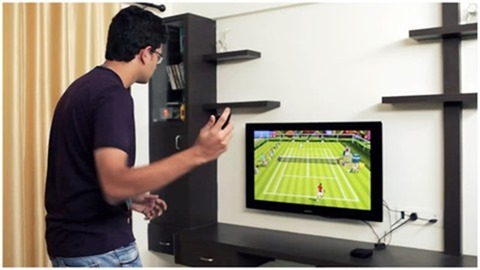 Nintendo’s Wii was undoubtedly popular thanks to one game, and that’s Wii Tennis. It was the game we all played with our families, and it was the game that everyone used to demonstrate what the Wii was capable of. 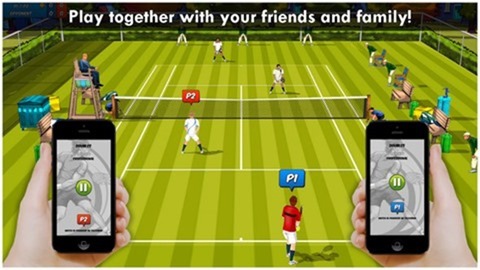 Back when motion gaming was very much in its infancy, Wii Tennis was something that really caught the eye. Fast forward a few years and the Wii U isn’t doing quite so well, but that doesn’t detract from what made Wii Tennis so great, and that’s the feeling of flinging a racket around with the aim of hitting a virtual ball. It’s this feeling that has Rolocule hoping that its Motion Tennis can replicate the success afforded its fore-bearer. 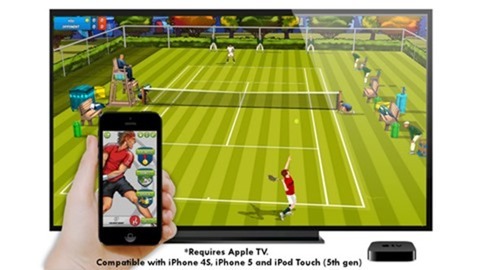 Effectively an iPhone app, Motion Tennis is different in that it uses an Apple TV to display the game on a big-screen TV. This in turn means that the iPhone can be used as a Wiimote of sorts, allowing gamers to wave their smartphone around as if it was a tennis racket. The game itself costs $7.99 on the Apple App Store, and requires just an iPhone and an Apple TV to work. Using the magic of AirPlay, gamers can effectively get a Wii-like experience on iOS, and assuming they already own the iPhone then it’ll cost just the $99 required to get hold of an Apple TV. Bargain! Rolocule is also working on similar games based around badminton and squash, and there’s even a zombie game on the horizon too. This release also shows what can be done when an iPhone game doesn’t even need a user to touch or swipe the screen in order to play, effectively turning the handset into nothing more than a motion-sensing brick. With an Apple TV providing the display, it’s certainly not how we envisaged gaming on iOS back in 2007! It does however show what can be achieved when an iOS device and an Apple TV are working in prefect harmony, and it goes a long way to show that there’s more to AirPlay than just mirroring presentations!